Céret with cherry trees in the foreground and the Mediterranean in the distance. Céret’s Cherry Festival is one of many festivals hosted by the party-loving Céretans. 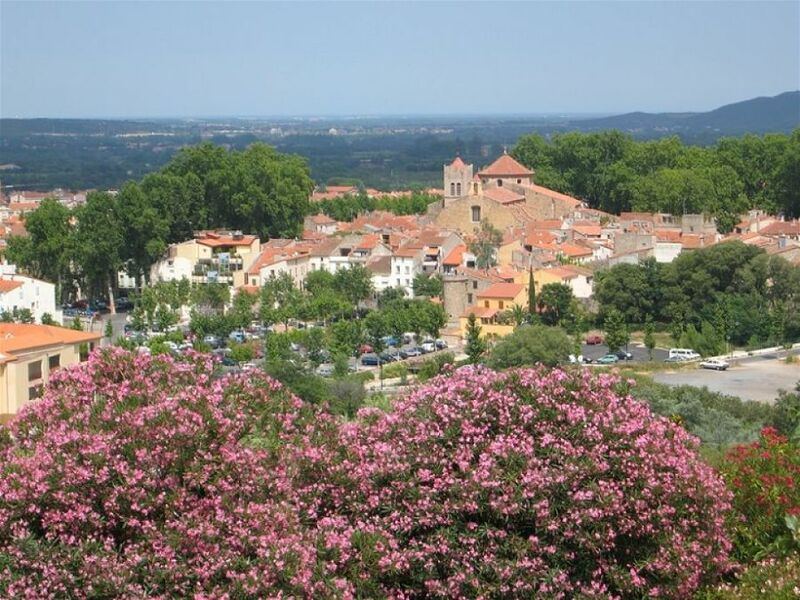 Céret has the earliest cherries in France due to its delightful micro-climate, nestled as it is on the south-eastern slopes of the Pyrenees. The first cherries from Céret are sent to the President of France. On offer are cherry wine, cherry beer, cherry pie, cherry clafoutis, cherry cheese, cherry – well, you get the idea. And the fun-loving Céretans also put on a cherry pitting contest and a cherry spitting contest. Photo Op after the Mermaid Parade on the boardwalk in Coney Island, New York, 2013. As we get older, we value experiences more than things. Experiences can never be taken away from you, they can’t get lost, they don’t depreciate in value. Some experiences can be life changing: meeting your mate, finally understanding an artist’s work, seeing how people live in other countries first-hand. Such events change your reality, your perspective, how you interpret the world. Variant/Adobe, Orange Front, Josef Albers, 1948–58. The Solomon R. Guggenheim Foundation. Coming to New York City or staying in New York City for the holidays? If so, you might consider visiting several museums as a holiday treat. Just be aware that museums can get crowded during certain times during the holidays. Be sure to buy a ticket ahead of time and come early in the morning. There are several great exhibits in town and you can combine visits to several museums within walking distance of each other to minimize transportation issues. (Plus it's fun!). Most museums have a coffee shop and/or restaurant, but come early or late to avoid the crowds. Here are suggestions for three of my favorites that I visited recently. 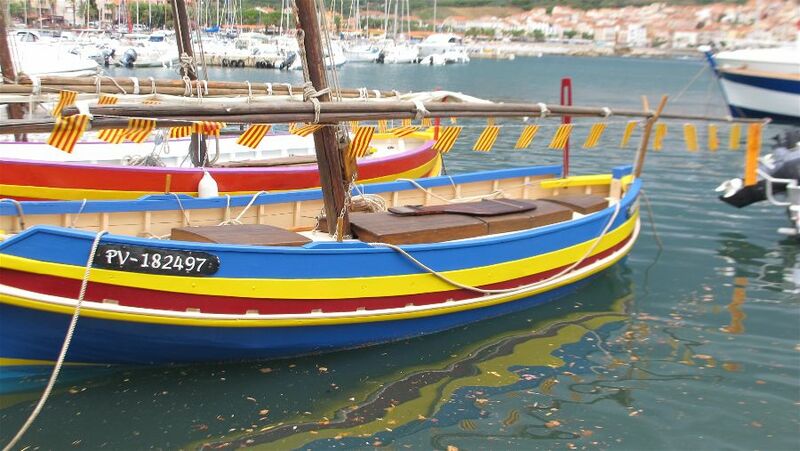 Catalonian fishing boats in Banyuls, the sculptor Aristide Maillol's home town. Photo Travellati Tours. Whether you are planning to join us on our Picasso’s Pyrenees Tour in May in person or just in spirit, here are some books and movies that shed some light on the lives and times of the artists whose Mediterranean retreats we will visit, including Céret (Picasso, Braque, Gris, Soutine, Chagall), Perpignan (many artists), Collioure (Matisse and Derain), Banyuls (Maillol), and Figueres (Dali). These would also make great gifts for the art, book, and film lovers in your life. Winter Solstice Around the World – Celebrate! The sun setting over Kolkata, India, on the winter solstice. Photo Biswarup Ganguly. This is an exciting time of year when we celebrate the year gone by and look forward to the new one. As the days get darker and darker, we gather with our family and friends, or with our favorite cat on our lap, to take stock of the past year and plan ahead for the new one. It’s not coincidental that multiple cultures have chosen the time around the winter solstice, the shortest day of the year, to celebrate and have a feast. 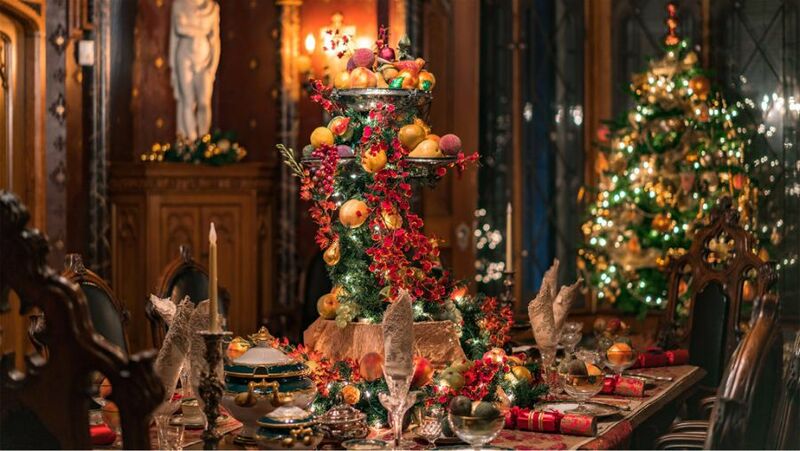 A groaning holiday table at Lyndhurst in Tarrytown. Photo Lyndhurst.org. Just a quick note to wish you and yours a very Happy Thanksgiving: a day of warmth, peace, and good food. A day to reconnect with your family and friends, to review the past year and make plans for the upcoming year. Gertrude Stein once wrote, “Anything one does every day is important and imposing and anywhere one lives is interesting and beautiful.” Of course she was living in Paris, France, at the time, not Paris, Texas, so I take it with a grain of salt. But after being back in Tarrytown for five months straight now, I realize what an interesting and beautiful and unique place it is. Cooperstown, NY – not just about baseball! Cooperstown, NY, on Lake Otsego, in all its Fall glory. So you thought Cooperstown was all about baseball? Guess again. 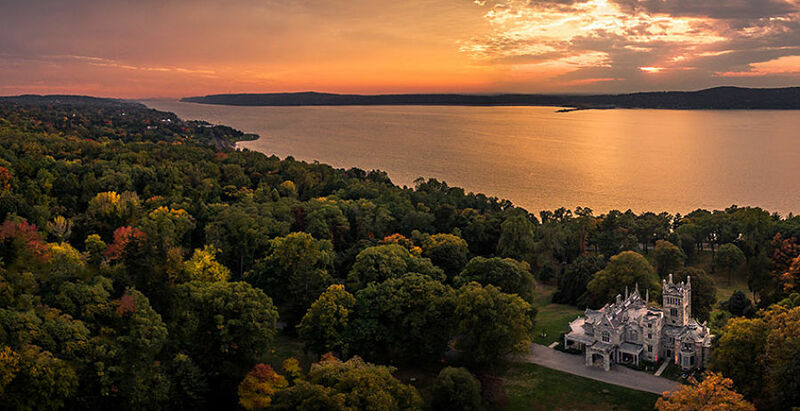 Cooperstown was founded by William Cooper on the shores of Otsego Lake in 1786. His son, the novelist James Fenimore Cooper, immortalized the area in his Leatherstocking Tales, featuring his anti-hero Natty Bumppo, known as “Leather-Stocking,” in The Pioneers, The Last of the Mohicans, The Prairie, The Pathfinder, and The Deerslayer. "